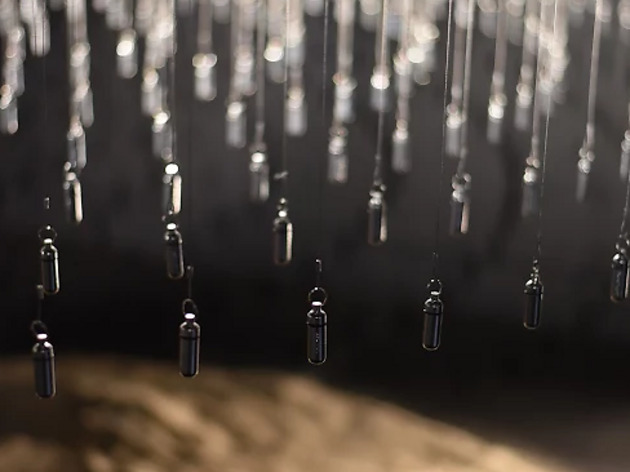 A captivating exploration of the subterranean world through the work of 11 young artists. In this mysterious and fascinating exhibition, 104 (centquatre) presents the inventive works of 11 young artists, each exploring larger questions about our environment in a unique way. Inspired by archaeologists, these artists dig deep and present their findings in the form of installations, sculptures, drawings and videos, making the exhibition an immersive and sensory experience. After carefully observing the way archaeologists work on the field, Nathalie Joffre creates beautiful choreography that is interpreted by mimes, while Miranda Creswell reveals the history of the Parc des Buttes-Chaumont through her drawings. Hicham Berrada’s work features mysterious dark spaces populated only by nocturnal plants and animals and Julie Ramage uses the voice of an archaeologist to tell the story of a site in Saint Denis. The works are a mix of disturbing and captivating, clearly the result of precise documentation and almost scientific research. 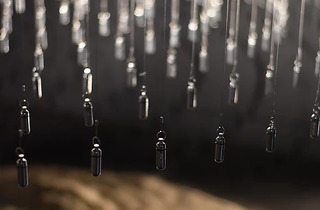 The result is a stunning exhibition that takes the visitor on an adventure, deep into the enigmatic subterranean world that exists around us.